Sant Josep known for hosting two protected special beauty, like the Natural Park of Ses Salines or Es Vedrà Nature Reserve, it is Vedranell and the islets of Poniente. The municipality of Sant Josep de Sa Talaia is the largest of Ibiza and enjoying the highest number of beaches, which extend along more than 80 kilometers of coastline. Besides the village that bears its name, Sant Josep integrates the parishes of Sant Jordi, Sant Agustí and Es Cubells, all with white puebloc picturesque churches and a peaceful environment. In addition, Sant Josep known for hosting two protected special beauty, like the Natural Park of Ses Salines or Es Vedrà Nature Reserve, it is Vedranell and the islets of Poniente. The white sand beaches and turquoise waters bathe the south coast of Ibiza, offering the traveler an unforgettable walk through the iconic watchtower is Savinar, which gives a spectacular view of the legendary Es Vedra. 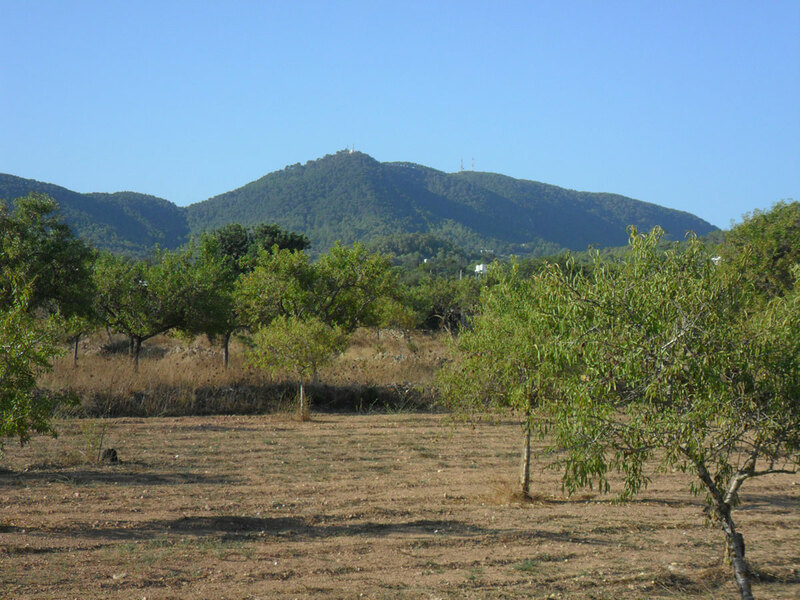 In addition, Sant Josep is crowned by Sa Talaia, the highest mountain in Ibiza with 475 meters. The municipality of Sant Josep is characterized by the landscapes in which pines, junipers, fig and carob trees are interspersed with small cottages. In the city center, the white church presides over the scene and brings the life of the people around him. In fact, the fortified church of Sant Josep, built in 1730, is one of the most characteristic of Ibizan architecture. The streets of the village allow you to discover precious corners decoration shops, boutiques and gift shops, two art galleries, cultural center Can Jeroni, bars and various types of restaurants where the tapas are the signature dish. Sant Josep near there genuine oasis of calm as Sant Agusti or Es Cubells, beautiful villages that maintain the authenticity of other times with charming white houses, cobbled streets and beautiful Ibizan churches. History lovers have a date with Sant Josep, since in this municipality are the Phoenician settlement of Sa Caleta, declared a World Heritage Site in 1999, and the Punic-Roman settlement of Ses Paisses of Cala d'Hort. Both are in privileged enclaves to better understand the past of this land while enjoying nature. The municipality has about 80 kilometers of coastline, which, besides important tourist centers, home to some of the most beautiful coves of the coast pitiuso, such as Cavallet, Ses Salines, Cala Jondal, Cala d'Hort, Cala Carbo, Cala Vedella , Cala Tarida or Platges de Comte, also hidden coves of fishermen, as Porroig, is Xarco, sa Caleta, Cala or Cala Corral Llentrisca, which retain all the flavor of yesteryear. The coast is also littered with cliffs and islets, such as Vedrà, is Vedranell, sa Conillera, S'Esparta, s'Illa des Bosc or Bledes countries, which govern the horizon from land. In addition, the magical defense towers rise at all points of the coast of Sant Josep, like the towers of Ses Portes, En Rovira and Es Carregador. Although the most emblematic is undoubtedly tower is Savinar, with stunning views of Es Vedra. The town offers very attractive routes for its natural areas, which also include defensive towers located in magical spots, such as the Pirate in Cala d'Hort, the d'en Rovira in Platges de Comte des Carregador or near Ses Salines. In addition, the highest mountain of the island, sa Talaia, 475 meters high, is located in the center of town and from there you can contemplate one of the best views of the island. Although, undoubtedly, Sant Josep is the perfect place to enjoy all the authenticity of landscape and ecological value enjoyed by the Natural Park of Ses Salines d'Eivissa i Formentera and the Natural Reserve of Es Vedrà, Es Vedranell and the enclave islets of Poniente, where nature remains pure.